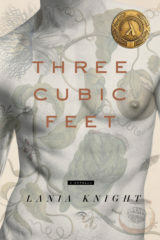 A new release of my first book, Three Cubic Feet, is coming soon to the UK! In the meantime, enjoy this free extract. Thanks to Alban Fischer for the fab new cover!